So I survived my first week where Daddy went back to work! I feel a bit like I cheated as I only had one day where I was actually fully on my own with two children as I was supported by Papa BookBairn and Daddy (who worked from home so BookBairn could still go swimming). But still I did most of the childcare for most of the week. And of course the day I was fully on my own I set up the double buggy and took both bairns to the library - where else could we go for our first outing as three? The librarians were amazing - they cooed over the Wee Page Turner and let BookBairn run off some steam and play with they toys, colour in and choose lots of stories. It really felt like a safe place for us to go for our first trip out. And no one cried! I did it! And the rest of the day went well. Currently crossing my fingers that next week will go as well! Thank you everyone who sent me a good luck message or a message to check in and see I was ok. It means a lot to be supported and that people understand it's scary looking after two when it's all so new. So sincerely, thank you! Ten Little Fingers and Ten Little Toes by Mem Fox, illustrated by Helen Oxenbury and published by Walker Books is definitely one that we would recommend to share with a new baby. "There was one little baby who was born far away and another who was born on the very next day. And both of these babies, as everyone knows, has ten little fingers and ten little toes." It's short enough for a quick bedtime read so even little babies with short attention spans can sit to listen to it. The sing-song repetition creates a lovely rhythm throughout the story, perfect for babies to hear. There are opportunities to interact with your baby on every page: each time the line "ten little fingers and ten little toes." is repeated you can pair it with tickles and kisses on your babies fingers and toes. It's such a joy watching them react and learning to anticipate as they get older. Helen Oxenbury's charming illustrations are a real joy. The babies all have their own personalities, playful, curious and full of fun. From their chubby wrists and knees to the way they hold themselves, every detail is drawn with perfection. And here's my little one, comparing his ten little fingers and toes to those in the book. Beautifully sentimental, this would be a perfect gift for a new baby and an excellent start to their library. Thank you so much for sharing your recommendations Anna! We don't have this one, though we have a few others by the same author, so we will need to pick up a copy! 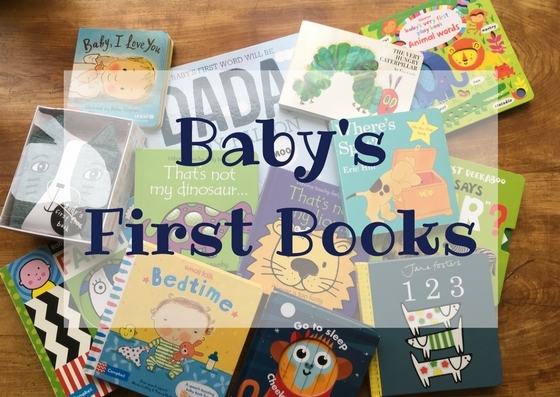 I just adore little baby fingers and toes so I love the idea of a book celebrating them! Thanks! I'm finding two tricky so hats off to you with four! How do you do it?! Thanks! The library is definitely my safe space! Well done MummyBookBairn. Where else would you go on your first trip with the double buggy? I'm glad the Wee Page Turner was also turning heads and BookBairn had a great time in "My Library, Papa" as she called it the other day when we were walking past. Have we got this book? It sounds great. I love counting their toes. We don't have it! I should really have picked it up when at the library but alas 'baby brain' forgot!